Pedigree: Nestled between the villages of Le Vivierand Fleurie in the Beaujolais countryside, this 17th-century château is surrounded by a wine-producing vineyard. 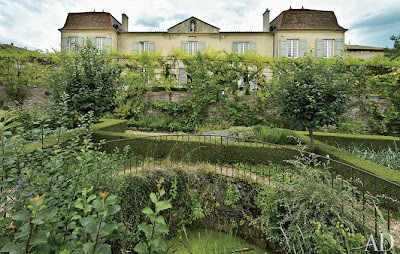 Previously occupied by several noble families, the restored estate is offered fully furnished, right down to the sumptuous four-poster beds and the library’s complete collection of Pléiade classics. 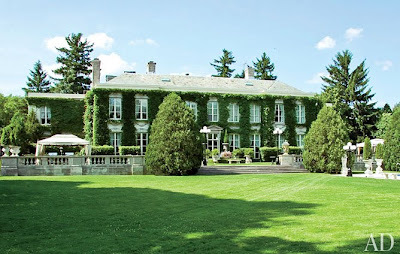 Pedigree: Architects David Adler and Henry Dangler designed this 1914 classic country house for Joseph M. Cudahy (of the meatpacking family) and his wife, Jean Morton Cudahy (of the salt dynasty). With gilt moldings and herringbone floors, the rooms are as grand as you’d expect. Property Values: Landscape legend Jens Jensen’s plantings still grow on the two acres. 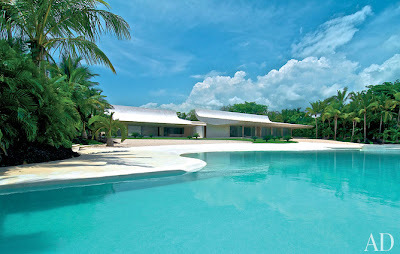 Plus, a pool and tennis court. Talking Point: Sphinx statues flank an imposing iron front door. 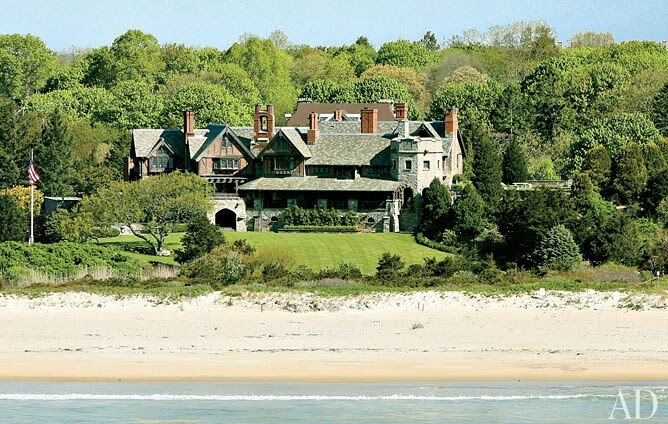 Pedigree: In 1917 architect John Russell Pope erected the Timbers, a Tudor manor on the shores of Rhode Island. Baronial details—bell tower, cathedral ceilings, oak beams—have been faithfully rehabilitated. Property Values: Eight acres of lawns, specimen gardens, and orchards set above 800 feet of beachfront, plus a pool and a pair of three-bedroom guest cottages. Talking Point: Stone arches frame ocean views in the octagonal outdoor dining room. Pedigree: Legendary MGM art director Cedric Gibbons worked on more than 1,000 movies, but he’s best remembered for introducing American cinema to the crisp geometry and gleaming interiors of Art Deco. In 1930 he fashioned a streamlined love nest to share with his wife, actress Dolores Del Rio. Its most recent owner, producer Joe Roth (Alice in Wonderland), recruited Michael S. Smith to add an extra dose of old-Hollywood glamour. Property Values: Swimming pool, tennis court, and cabana. Talking Point: A backlit terrazzo staircase encourages movie-star entrances. Pedigree: Spanish architecture firm A-cero recently designed a vacation compound that evokes Caribbean breakers. Curling roofs and walls contain separate sleeping and living areas, clad in local coralline stone. Courtyard gardens and floor-to-ceiling windows blur the line between interior and exterior. Property Values: Nearly two acres of landscaped grounds overlook the turquoise sea. Does it fit my stage in life? Where will the Christmas tree go? Is it good for my dog and cat? Will my kids want to come home and hang out? or not - make it your home, not just a house.